It’s time for another DIY blog post to share with all of our customers and followers. 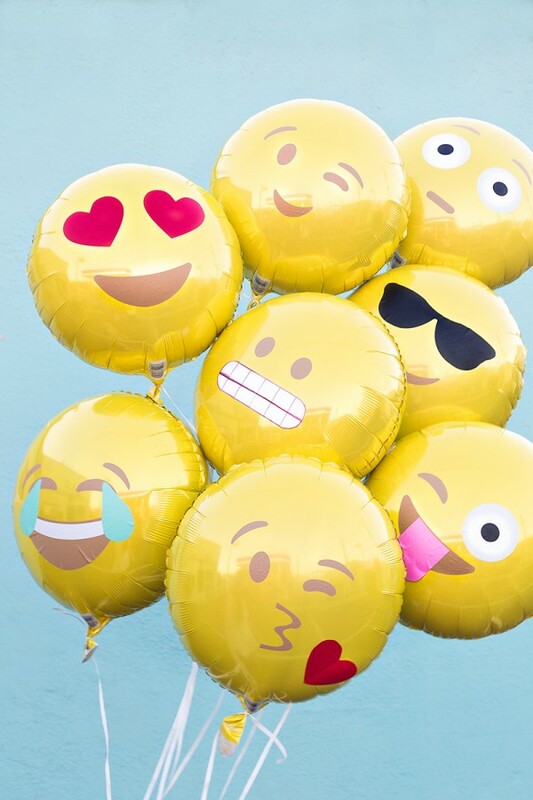 This week we have selected to make our own emoji balloons as emojis have become increasingly popular in recent times and we all use them on a daily basis while using our smartphones, tablets and when we use social media. Read on to find out what you need to do to make your own creative emoji balloons. Blow up your balloons with helium and tie with a string. Have a browse online of the different emojis that are popular at the moment and choose which ones you want to recreate. Get a larger version of the face in a search online so you can see the details while you sketch it out on to the vinyl. You can also trace it on to the vinyl if you prefer. Get the scissors and cut out the eyes, mouth, heart eyes and whichever features you have sketched. 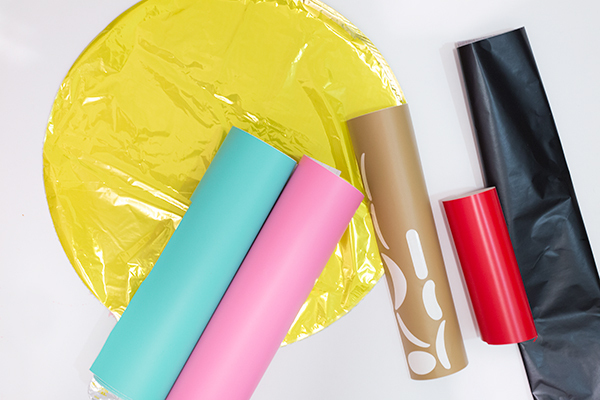 Peel the vinyl off the backing and begin adhering to your balloon as desired. Add the rest of the pieces of the face. Make sure you don’t make the vinyl pieces too large or they could weigh down the balloons. 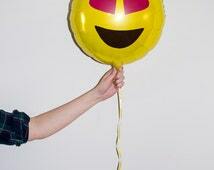 If you want a simpler method to make emoji balloons then follow our basic method. Get a larger version of the face in a search online so you can see the details while you sketch it out on to the card or paper. You can also trace it on to the card or paper if you prefer. Stick on the features by putting glue on the pieces you’ve cut out and pressing them gently on to the balloon. Add the rest of the pieces of the face. Tip: If you are a confident artist you could create your own emoji balloons using yellow helium balloons and permanent markers.